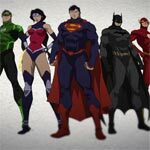 Reign of the Supermen Flies onto 4K Ultra HD, Blu-ray and Digital 1/29/19! 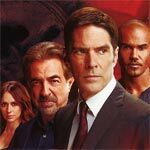 Criminal Minds: Season 13 is a solid enough season and the ensemble cast with a few new faces from the past couple of seasons that seem to gel nicely together. Now, the stories aren’t always the freshest and I’d imagine it might be time for the series to wrap up. 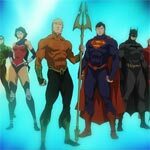 Warner Brothers Home Entertainment has announced the date and released artwork for the latest DC Animated Movie, The Death of Superman starring the voice talents of Jerry O’Connell, Rebecca Romijn, Rainn Wilson, Jason O’Mara and Rosario Dawson. Click on the link below or image to the left to check out the features and artwork. 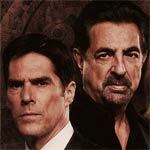 Criminal Minds: Season 11 still has some entertainment value mainly for its cast, though it is a letdown after a nice 10th season, but seeing the departure of another veteran cast member makes me wonder if next year will be its last which will be hurt once Thomas Gibson is gone following his much publicized dismissal. 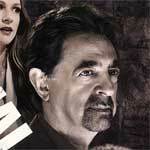 “Criminal Minds” remains one of my favorite shows today (note: I steer more towards procedural crime dramas) and while the ninth season isn’t predominantly special, there are more than a few solid episodes (‘The Inspiration,’ ‘The Inspired,’ and ‘200’) and even the others are entertaining if not routine. 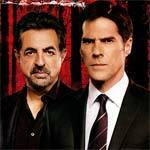 “Criminal Minds”: Season 8 isn’t bad with a few highlights throughout the year including a fun supervillain in the Replicator and Jeanne Tripplehorn’s first foray is semi-satisfying though not an equal replacement for Brewster and some of the stories are getting tiresome blending together like a Friday the 13th sequel. The DVD released by Paramount does offer a respectable amount of features and the audio/video transfers are pretty good.